Which is better for printing, a JPG (JPEG) or TIF (TIFF)? Most would say a TIF. But, is that always the case? 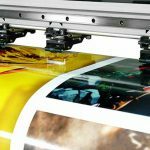 When printing your images there are the two primary formats we recommend and we do accept a handful of other file types for ordering prints however many are only optimal under the right circumstances that may not necessarily be ideal for art and photo printing.